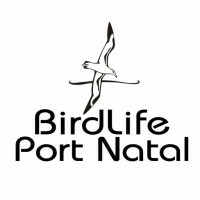 Don’t take our word for it – read what the kind people at BirdLife Port Natal have to say. This was both a Week-end and Sunday outing. It was attended by ten members for the weekend and a further eleven for the Sunday outing. And as usual it was a resounding success surpassing everyone’s expectations. Not only was the birding excellent but the venue and hospitality of Richard Alcock were equally so. As noted on both previous visits this year (and reported on the website) this can be considered the “Okavango” of South Africa. Peter and Frankie arrived Thursday afternoon as did Sally and I. It was a drizzly cold afternoon. Despite this we took a drive round the estate heading for the hide. Sally and I decided to revisit Bird Valley Estate – just north of Albert Falls in the midlands – to explore their extensive wetlands. We invited several friends to come and camp with us. In all we were 9 people. The campsite has good ablutions and overlooks the dam. Bird Valley Estate is nestled in a SAPPI forest. It is a small residential area with 30 large plots around the water’s edge – some with water- skiing rights. So far only 10 plots have been developed.Bird Valley Estate is at Satellite Dam just north of Albert Falls in the Midlands, KZN. Satellite Dam is about 1.5 kms in length and on average about 250 metres wide. Most of this is wetlands. There is no habitation on the catchment area .